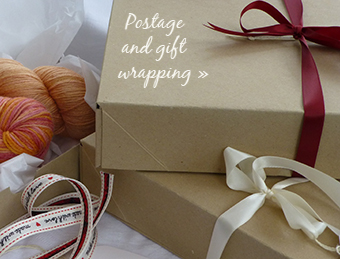 We have lots of spring news for you at Gorgeous Yarns HQ! What’s our news? The sunny weather this weekend seems to be saying spring is finally here! 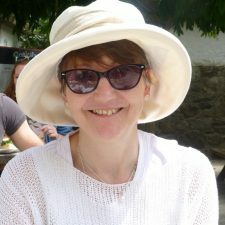 I’m getting ready for the 2 spring shows I have coming up: Toby’s Gardenfest at Powderham at the end of April, and Kirstie’s Handmade fair at Ragley Hall, Warwickshire in May. I enjoy Toby’s Gardenfest very much, this will be the third year we have been at this lovely show. As usual we are in the Artisan’s marquee on the South lawn. I will have a variety of yarns to show you, including the naturally dyed yarns which are proving very popular. 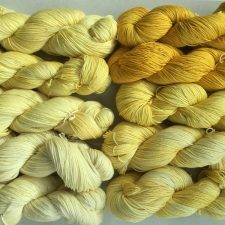 I’m (at this moment) simmering some yellow mini skeins, and these will be sequence dyed, perfect for ombre shading. Available for the first time at this show. We will also have our Gorgeous Kits with 3 or 3 skeins, a pattern and free gift. Perfect for a quick gorgeous project! As usual, if you are coming to any event, and would like me to bring something specific from our range, let me know and I’ll do my best to remember! News of Kirstie’s Handmade fair now…. I have a free prize draw going on to win tickets to this event. If you would like to be in with a chance, click this link and sign up for our newsletter, simple! Then email me at gorgeousyarns@gmail.com and let me know you want to be in the draw. We are in the Shopping Village marquee, stand 31! I’m super excited about it, we will have lots of yarns, kits and more available, so come and say hello! Mr G is going to be with me, though he says he’s going to be the gofer; gofer coffee, gofer snacks etc! I don’t think he will be knitting or crocheting any time soon! 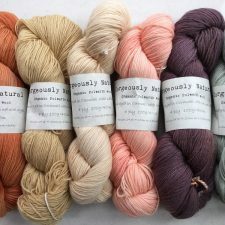 I have been busy dyeing yarns with natural dyes, and the range of colours is just beautiful. I have almost finished writing up a knit pattern using this yarn, and this will be free to download for newsletter readers next month, and free with 2 skeins of naturally dyed yarn too. You may have heard on the news or social media about GDPR. This stands for the General Data Protection Regulations. It means that all data stores by companies who are based, or sell to the UK and EU have to protect your electronic data more safely than ever. Here at Gorgeous Yarns we take your data protection very seriously, and we are undertaking an audit of all customer data stored and our newsletter lists so that we are 100% compliant with the new regulations. Our website uses data-safe systems and is updated regularly. If you are a previous customer and wish your data to be removed, please let me know. Anyone signing up for the newsletter will now have a double opt-in which is another layer of protection for you. The GDPR should also stop annoying spam emails, win win! What have you been up to these last few sunny days? The garden at Gorgeous Yarns HQ is badly in need of some TLC and pampering, but I have some lovely designs I want to work on and get testing. Watch this space for news of these when I get a bit further with them!